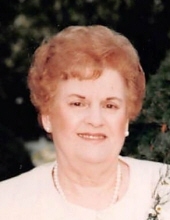 Theresa M. Florio, age 96, passed away March 22, 2019 at St. Raphael Campus of Yale New Haven Hospital. Born in New Haven on June 12, 1922 she was a daughter of the late Joseph Massaro & Pasqualina (Giannotti) Massaro. Theresa was the widow of Louis Florio Jr. She is survived by her beloved son Louis Florio III of Hamden; her sister Rose Savo of Wallingford and several nieces and nephews. Theresa was predeceased by her siblings Mary Massaro, Victoria Guarino, Carmel Forto, Phyllis Olivieri, Joseph Massaro, Michael Massaro & Anthony Massaro. She was a resident of Hamden most of her life. Theresa formerly was employed at Acme Wire in Hamden, Crangelo Fur Co. and retired after working many years in the cafeterias for the Hamden Board of Education. She was a member of the former Ladies Guild at her church for many years. Theresa always enjoyed to bake and cook for all her family and friends that visited and loved to listen to the singing birds outside. Her son Louis would like to thank Conn. Hospice in Branford and the Verdi Wing of St. Raphael Campus of Yale New Haven Hospital for all the special care and compassion extended to him and his mother in her time of need. "Email Address" would like to share the life celebration of Theresa Florio. Click on the "link" to go to share a favorite memory or leave a condolence message for the family.